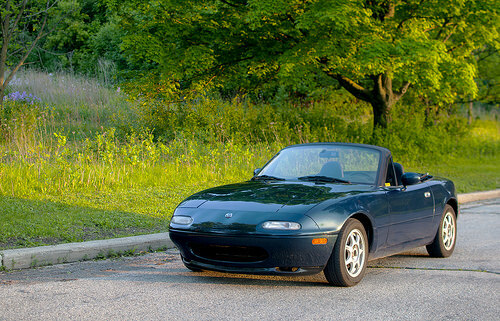 96 montego blue nOOb from Milwaukee - Miata Turbo Forum - Boost cars, acquire cats. Hi guys, Names Austin. Live in Milwaukee now but am from Tampa Florida. Bought a red 97 about 5 years ago then sold it to buy this montego blue car about 3.5 years ago. its mostly stock, on my third engine, Budget Bilstein suspension, 10AE seats, r lips front and rear. Would really like to start attending driving events next year so really just trying to get it ready to go and learn to not be such a noob. will put together a build thread and add the link below. Welcome to the site Squiblez, thanks for joining up!